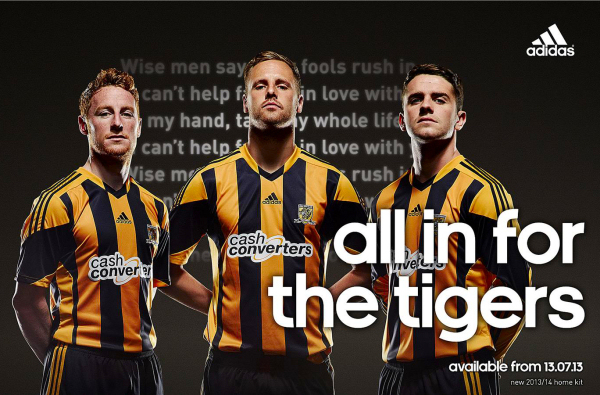 An all-maroon away kit necessitates a third kit when you play in the same division as Bradford, so City went with a traditional all white alternate that wasn’t commercially sold. It really was all white, there was no contrast trim on the collar and cuffs of the shirt, the sides of the shorts or on the turnover band of the socks. The only embellishments were a subtle shadow stripe pattern on both shirts and shorts, the sewn on club crest and maker’s mark, and the logo of sponsor IBC in their corporate colour red. 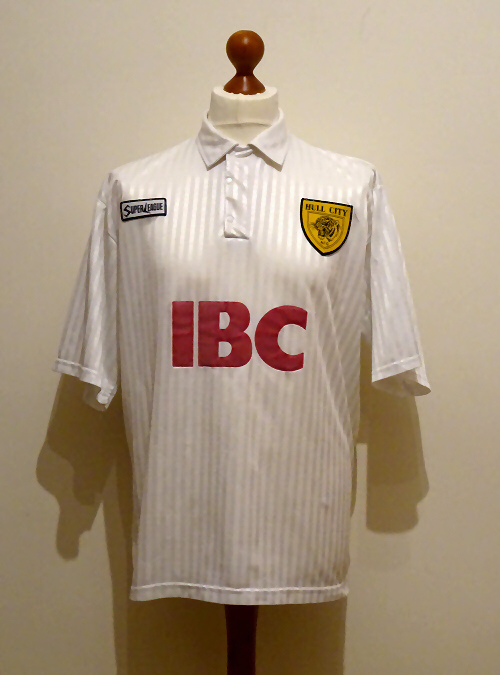 This kit was worn just once in 1995/96, at Valley Parade as expected as City drew 1-1 with the Bantams. 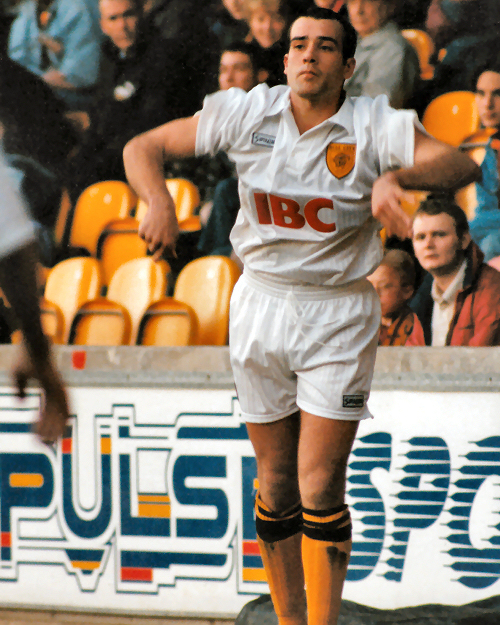 The white socks were never used, as the Tigers paired the home kits amber stockings with the white shirts and shorts (as seen on Neil Mann, below). 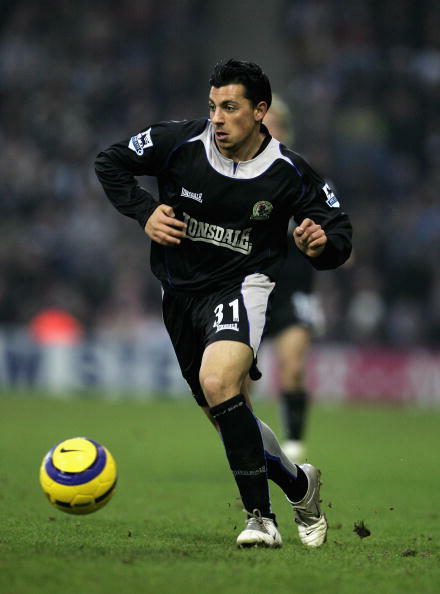 The following season the maroon away socks were used with an otherwise white kit at Lincoln, but the shirts had been updated with a black sponsor. In 1996/97, the Nationwide League sleeve patches were added, but in 1995/96 competition patches were evidently overlooked. 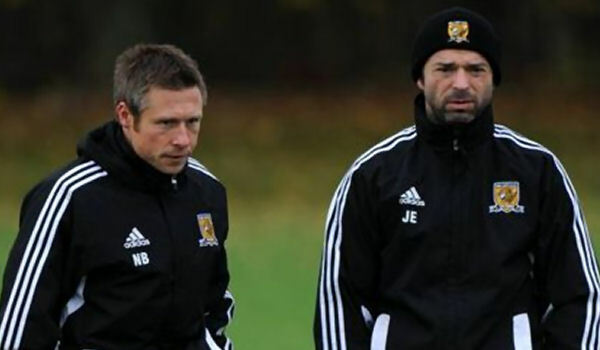 To say this shirt was only used in one competitive fixture, it’s really in a state. 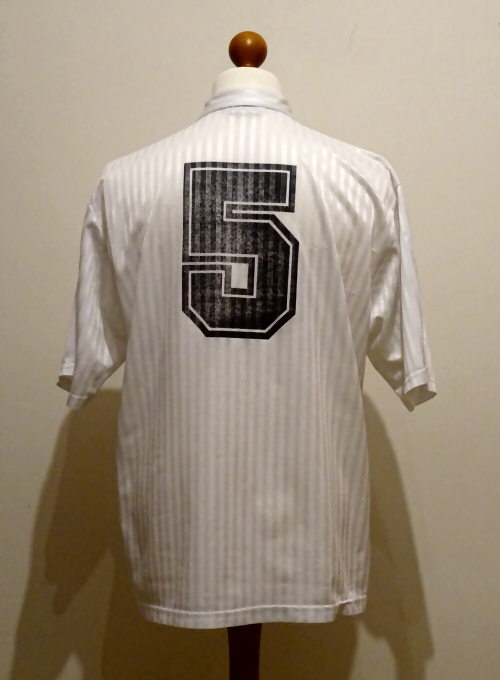 After use by Bob Dewhurst at Bradford it was gifted to a fan who wore it for 5-a-side games for the best part of a decade, so repeated washing has faded the red sponsor to a pink tone, the number 5 has degraded, and there are numerous pulls in the fabric. Still, this is a very rare shirt indeed and we’re glad to have it, no matter the state.